The weather was beautiful all weekend, though a bit chilly. Cool enough to enjoy the campfire any time during the day, chilly enough at night to make us thankful for an electric spot and the heater in the camper. I love jeans and sweatshirt weather! My husband and I also tried a new recipe for cooking fish this weekend. I think its a new favorite. 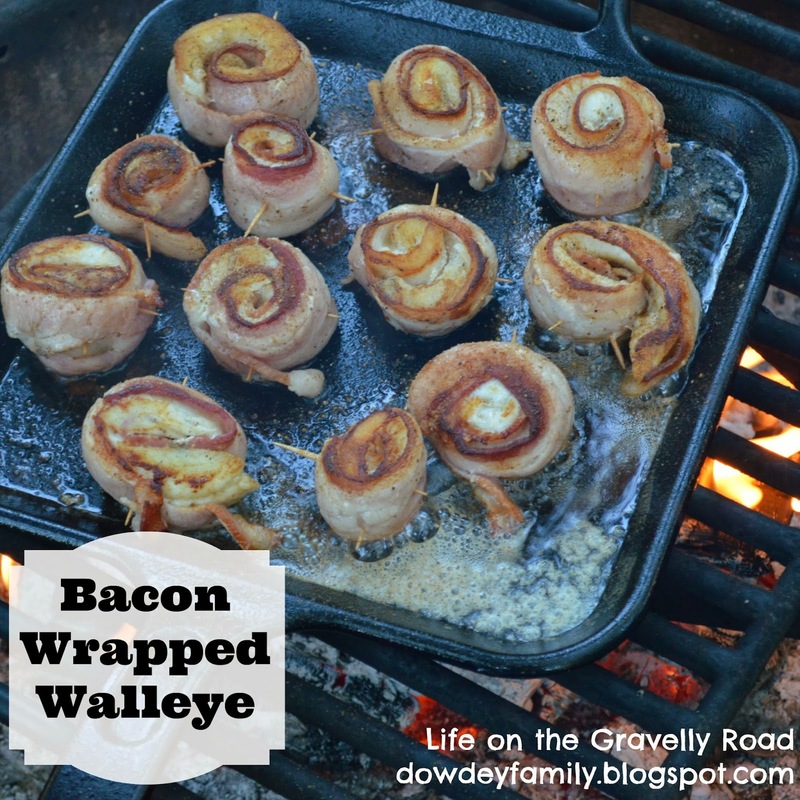 Bacon Wrapped Walleye - because everything is better with bacon right? 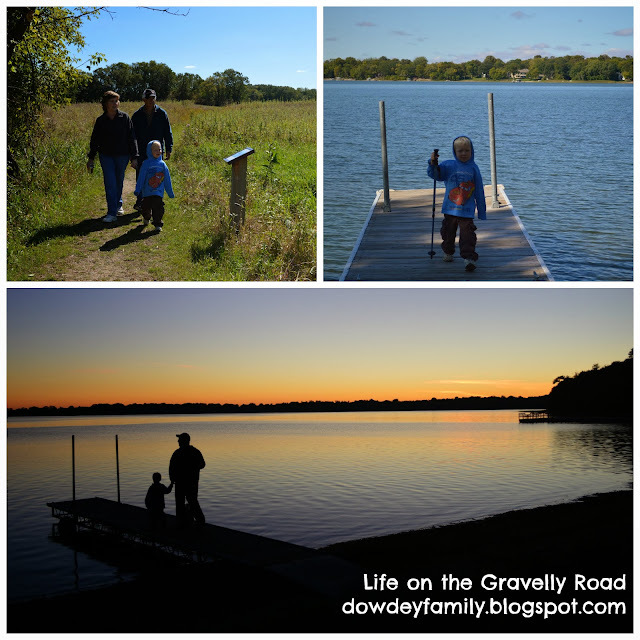 It was a wonderful weekend of camping near our gravelly road! How lovely to have somewhere like that really close to home, and that looks like a wonderful meal! We live in the Welsh countryside and we really must take more advantage of it. What a lovely weekend! My little boy is desperate to go camping! That looks like such a perfect weekend. I am with you on the jeans and sweatshirt. Quite snuggly to bring them out again. 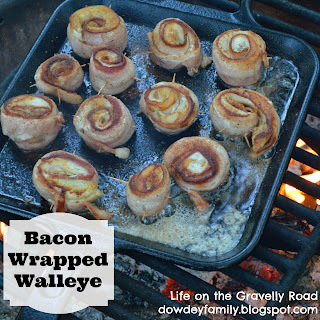 Loving your fish and bacon idea too. I may have to copy this one. Thank you for sharing your lovely weekend outdoors on Country Kids.